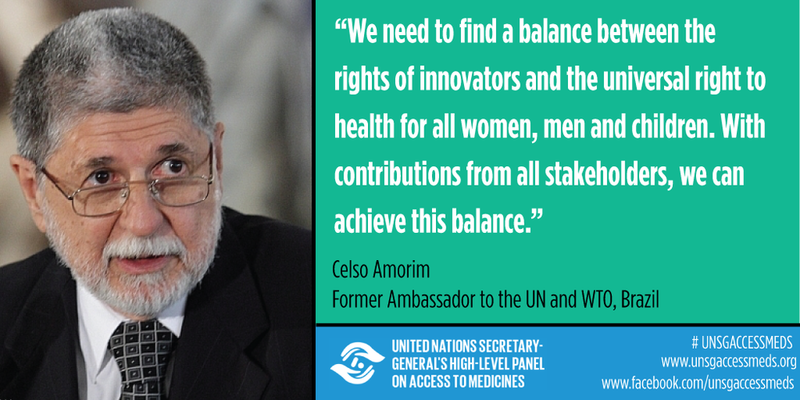 UN Secretary General High-Level Panel on Access to Medicines: Advancing Health-Related SDGs through Policy Coherence. 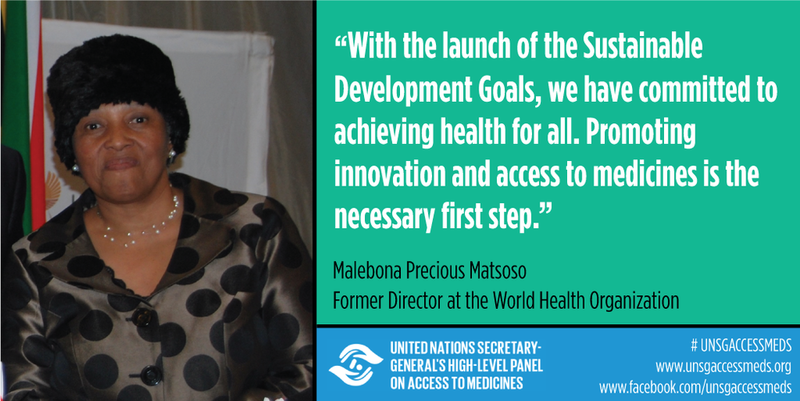 This side-event on the margins of the High-Level Political Forum will unpack the relevance of the High-Level Panel’s recommendations to the health-related SDGs and examine how policy coherence can promote health technology innovation and access. 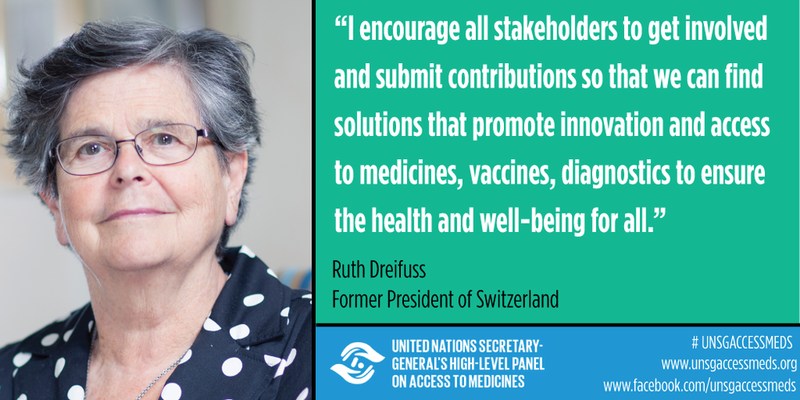 Check out the discussion on the High-Level Panel on Access to Medicines Report from the United Nations General Assembly side event, ‘Breakfast Dialogue: The Role of Health Technology Innovation & Access in the 2030 Agenda for Sustainable Development." The event highlighted the Panel's research and recommendations. Want to participate in the global dialogues? Tune into the London and Johannesburg livestreams to ask questions to the panelists and help shape the conversation. 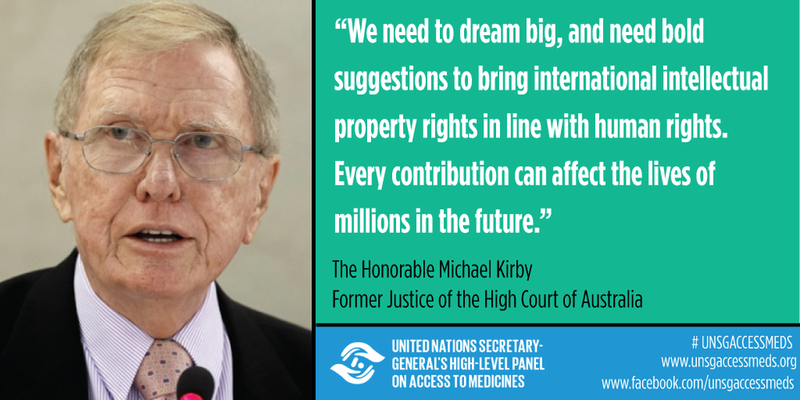 Include #UNSGAccessMeds in your tweets and posts. Get updates on Twitter and Facebook.